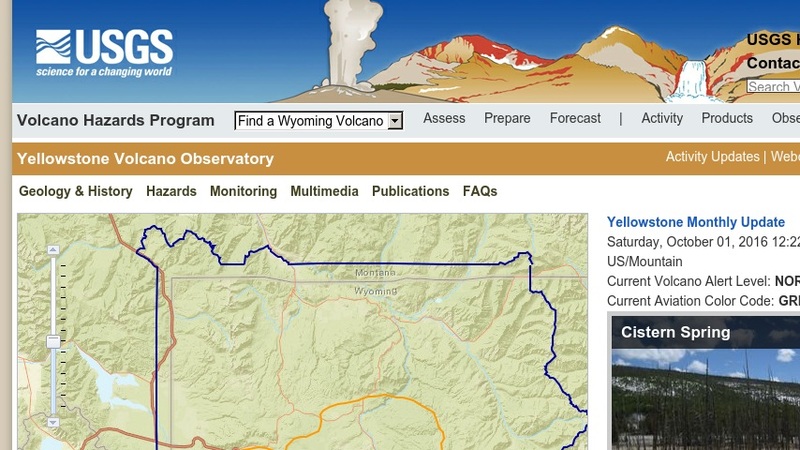 The Yellowstone Volcano Observatory (YVO) monitors earthquakes, ground deformation, stream discharge and other geological signals that can be used to detect activity in the Yellowstone Plateau volcanic field. The observatory's website provides information on YVO activities and research, status reports, updates, and information releases on seismic and volcanic activity at the park. The monitoring page provides datasets on earthquake activity; ground deformation by GPS; long-term river discharge and chloride concentrations; temperature logs for geysers and hot springs; and historical data on levelling, water levels and chemistry. There is also a history of volcanic activity and stratigraphy of major rock units at the park, a bibliography of maps and papers related to the Yellowstone volcanic system, and a gallery of images from the park.